Wobble received a new living arrangement this week, complete with pvc pipe feeder which Caleb has dubbed “the periscope”. 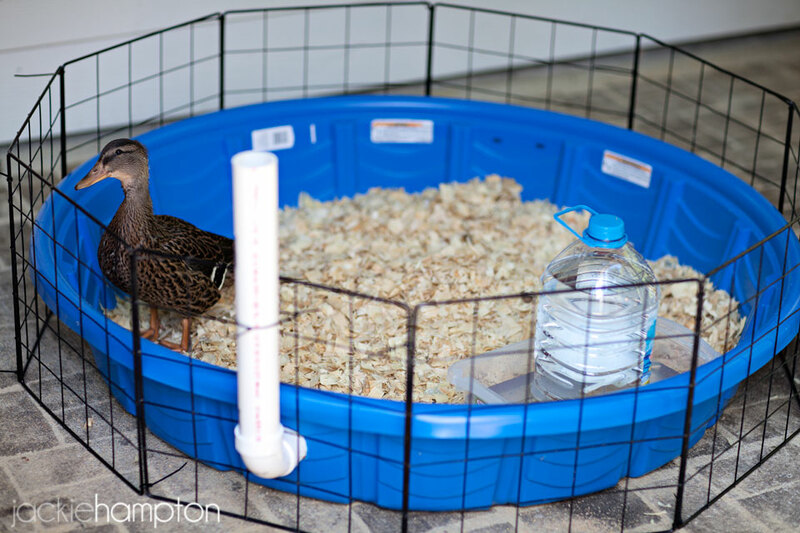 Much as I wanted to keep Wobble in the house, the sweater box was just too small to live in anymore and the baby pool wouldn’t fit on the dining room table. 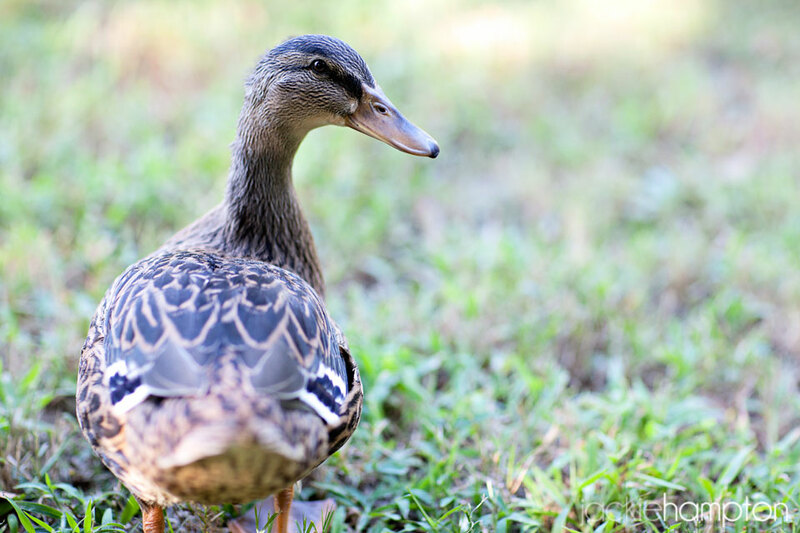 Also, one morning Caleb and I returned from dropping the boys off at school to be cheerily greeted at the door by the duck, who had jumped out of the box and gone in search of us. Wobble was moved to the back porch that afternoon. You gotta know when to fold ‘em and all that. The new accommodations have not stopped Wobble from spending time indoors with us. 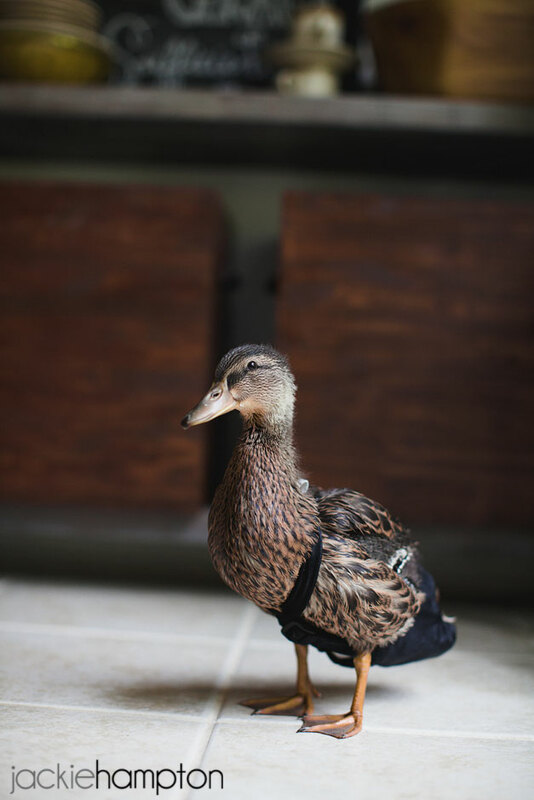 Wearing a duck diaper means free reign of the house for a few hours every day. 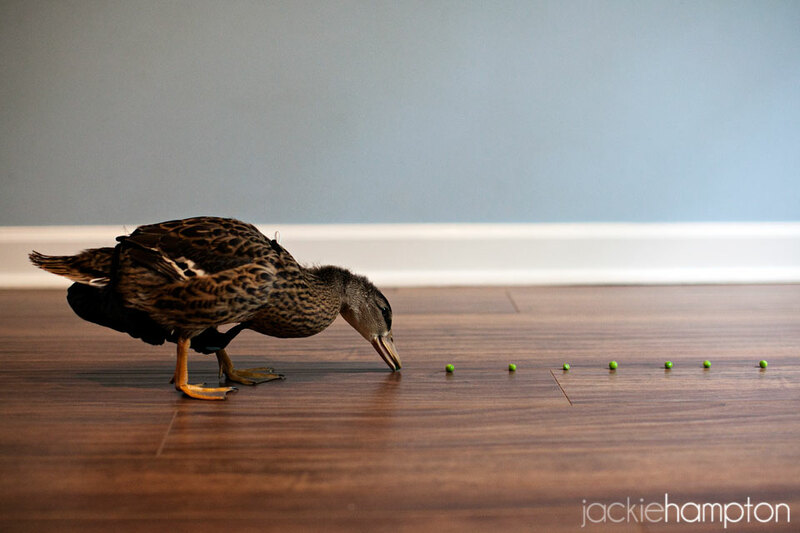 Wobble will do almost anything for a pea. Including wearing a diaper without fuss. 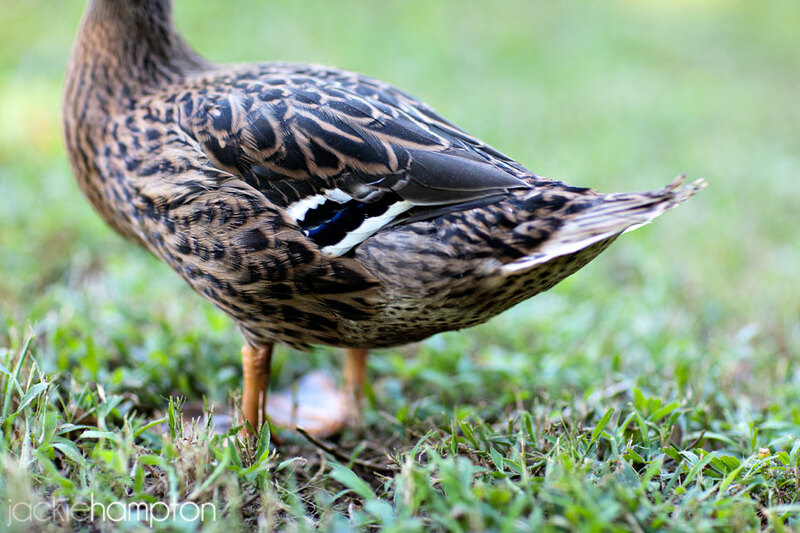 Also, you may be wondering why I haven’t referred to the duck as “he” during this post. That’s because Caleb and I are in a full on battle of “Guess the Gender” and I have NO idea who is winning. I’ve always just thought it was a boy for no discernable reason. Caleb, after studying pictures and other somewhat inconclusive internet research, thinks we have a girl. 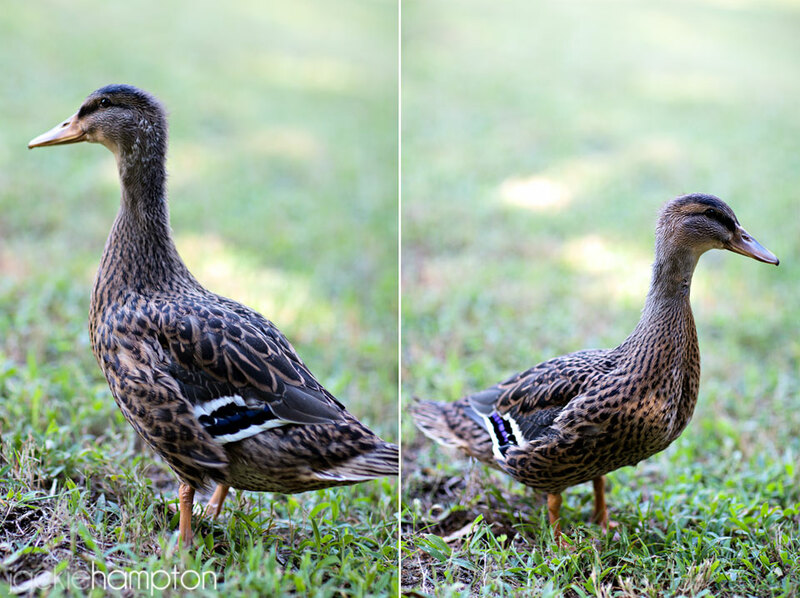 I have scrolled through pages and pages of mallard photos and still have not been able to figure it out. This photo (above) had me thinking Caleb might be right about Wobble being female. 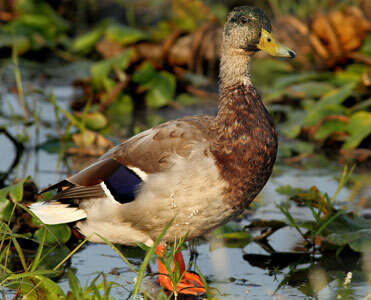 But then I realized that males can also have the blue wing feathers. So now I’m still uncertain. Now’s the time to make your guess. 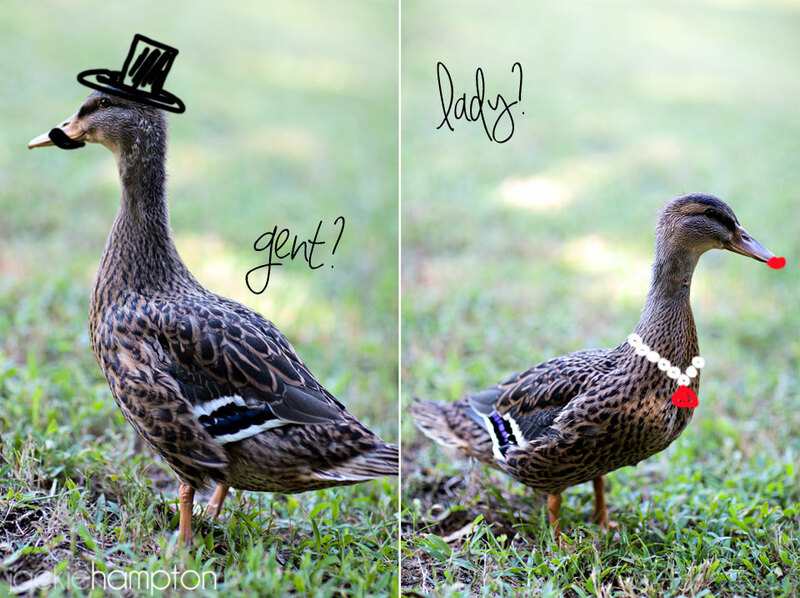 Is it a lady or is it a gent? In the interest of full disclosure I have to tell you that we’ve been calling Wobble “her” a lot more than “he” lately. Not that it makes a difference now, but just so you know which way we’re leaning this week. She does spend an awful lot of time standing in front of the mirror. A boy--cause there's too many boys in your house to even try to even the odds!